He loved her once – she always was the preferred guitar whenever he played to the morning star. an original by Ryan Wong, yours truly. 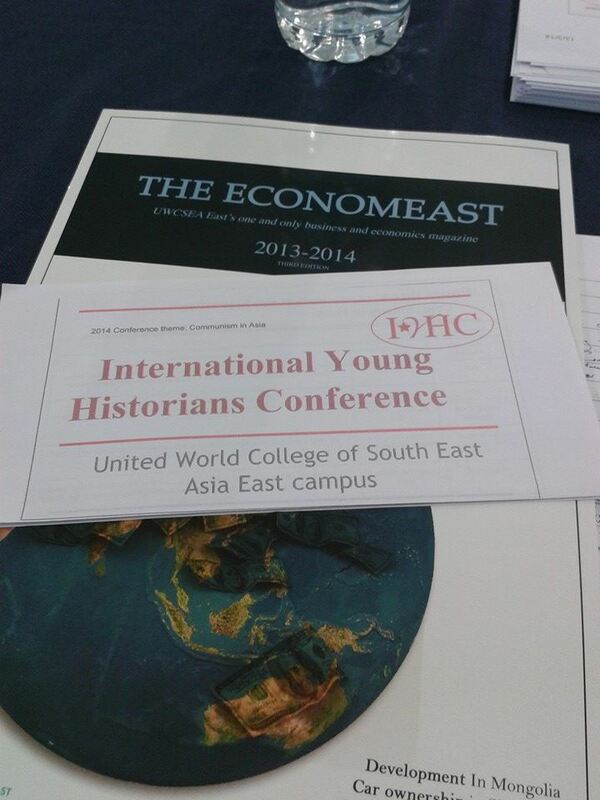 I’ve just attended the International Young Historians Conference held at UWC SEA and I have to say it was interesting and useful as an academic conference for participants to learn from the different (perhaps not previously considered) viewpoints and perspectives presented by the other participants and academic papers. I did my presentation on the concept of Juche and how it compares to other prominent strands of Communism from the likes of Maoism to Marxism. It was exciting as other presentations were deeply grounded in these other forms of Communism and I did worry for a second if there were conflicts in understanding of the different Communist ideologies but as it turned out, everyone did their homework and presented as factually as they could. Since my presentation document is still open on another browser, I thought it might be good to just include in this post a short extract of the research paper so here it is below. If anyone wants access to the full academic paper, just leave me a comment and I’ll either share it or post it up here. Choosing rather to focus on what is perhaps seemingly glamorous and bountiful. 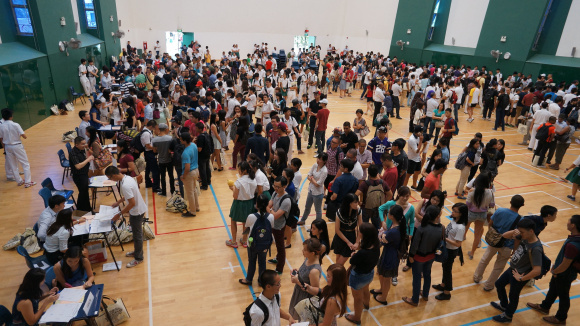 fine results for Raffles Institution once again. Auspicium Melioris Aevi. Anticipation ran high as the 1,239 students from the Class of 2013 awaited the release of the 2013 ‘A’ Level Examinations results today. Overall, the cohort turned in excellent grades, with 97.6% of the cohort achieving 3 H2 passes with a pass in GP or KI. This is above the national average of 91.1%, and an improvement from last year’s 97%. Roughly 68% of the cohort scored also scored at least 3 H2 distinctions, and 170 students achieved distinctions in all subjects offered (including H3), compared to 129 from last year. *A good old pal of M asked him over lunch in school one fine day if he believed in the concept of true love. That got him thinking a little about what true love meant, or at least what he made of the two words and (leading on) if he believed what they stood for. M told him he would get back to him soon and his thoughts wandered off to the unfamiliar territories of true love and the views he had of it as he sipped on his coffee carelessly. M: hmm it always get weird when it comes to love and matters of the heart, don’t you think? Always tricky territory to tread cos’ there’s something fragile there, something desirous and pure at the same time. Something exciting, something quite so interesting. B: not really, look there and sometimes you don’t find anything at all. Some people have no heart, and no capacity to love. M: I don’t think so, I think everyone has the capacity and ability to love; they just need to open up and show their affection and not be afraid of opening up their hearts to others. B: okay that was well said, but how true it is I really cannot tell. So do you believe in true love then? Sure sounds like you do! M: to me, I think true love is something magical, something really special. It’s something innocent and pure that requires no explanation or reason to occur. It just happens and you know from how you feel that that is true love, because it simply feels so true and just so right. It happens between two parties, and the genuinity of it is felt by both equally and there lies endless possibilities in a love like this. *short flashbacks of recent moments of M and his best girl friend plays in M’s mind and he smiles lightly while getting lost in the delicately sweet nature of those little moments where they mess around with each other and enjoy countless cups of tea together* It’s something really beautiful and yes, I do believe in it. B: Oh that is so nicely put, and yet so ideological. To me, true love doesn’t exist. True love is just an economic transaction, just as relationships are. They are for the survival of individuals, for them to go through the motions of starting the family and settling down. B: *frowns and positions hand in assertive manner* What does having a girlfriend achieve for me anyway? It would be a waste of my scarce funds, scarce time and it definitely would complicate my life. As if things weren’t tough enough as they were. M: Oh well, I guess love works in different ways for different people. Wait til you fall head over heels in love with a girl and we’ll see what you say! In any case, see you around man. B: Yeah yeah, see you!